Article 21 of the Regulatory Reform (Fire Safety) Order 2005, requires the responsible person to ensure that employees and appointed fire marshals/wardens are provided with adequate fire safety training. This should be repeated periodically, or be provided in a manner appropriate to the risk identified by the fire risk assessment. 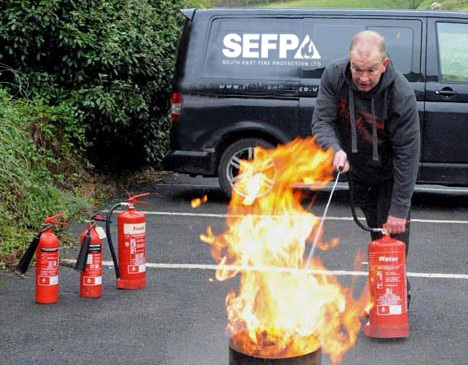 South East Fire Protection LTD provide a range of courses to enable you to meet these obligations, training carried out at your site, or E- learning options. Why the Need for Fire Training? The Nature of Fire: To begin, we cover the nature of fire – how it works, and the different ways in which it can spread; we also cover smoke and the dangers it poses. This introduction is important for Fire Wardens, so they learn what behaviour to expect from fire and smoke and how important it is to help educate their colleagues too. It’s the starting point in the process of keeping the workplace safe. Signage: Health and safety signs can save lives – they are used to communicate important messages to prevent injury or give instructions in an emergency. This section identifies the different types of signs you may see in the workplace; we define what they look like, what they mean, and our Traffic Light System provides a simple way to remember the different types. Hazards: In this section, we discuss the potential fire hazards that can arise in the workplace – covering ignition sources, flammables and combustibles. We also discuss certain working practices that need to be implemented to avoid creating fire hazards.  Emergency Procedures: This section explains what action to take in the event of an emergency. This step-by-step process includes raising the alarm, calling emergency services, and an evacuation procedure. We also explain what you should do if you’re unable to escape in an emergency, including a demonstration of the “Stop, Drop & Roll” technique. Portable Fire Extinguishers: To conclude our programme, this section teaches users about when it’s safe to fight a fire, and when it’s NOT. 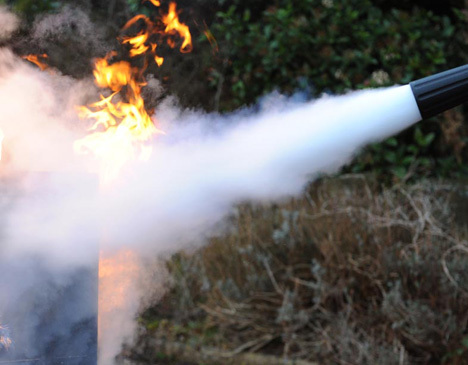 We provide demonstrations on how to use the five common types of fire extinguisher, as well as fire blankets. Users learn about the different “Classes of Fire”, and which extinguisher to use on each class. The Nature of Fire: To begin, we cover the nature of fire – how it works, and the different ways in which it can spread; we also cover smoke and the dangers it poses. This introduction is important for Fire Warden’s, so they learn what behaviour to expect from fire and smoke and how important it is to help educate their colleagues too. It’s the starting point for Fire Wardens, in the process of keeping the workplace safe. Signage: Health and safety signs can save lives – they are used to communicate important messages to prevent injury or give instructions in an emergency. This section identifies the different types of signs you may see in the workplace; we define what they look like, what they mean, and our Traffic Light System provides a simple way to remember the different types. Fire Wardens are at the forefront of fire-related health and safety in the workplace, and they should be able to help educate colleagues about signs related to fire safety. Proactive Duties: This section looks at the first half of a Fire Warden’s Proactive Duties, which are routine, preventative tasks that need to be completed to reduce the risk of a fire starting. This includes arson awareness, alarm and system maintenance, risk assessments, and managing ignition sources, flammables and combustibles. We also cover The Fire Safety Order (FSO). 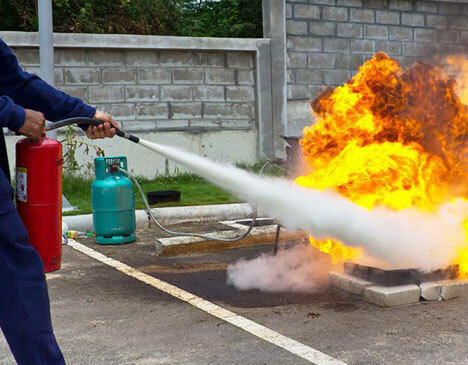 Reactive Duties: The second half of a Fire Warden’s duties are covered in this section; these are the REACTIVE duties, which include the actions that need to be taken during fire drills, emergencies and an evacuation procedure. This section also covers clear leadership and human behaviour – a warden needs to know what to expect from their colleagues, and what their colleagues will expect from them during drills and emergencies. Fire Extinguisher: To conclude our programme, this section teaches warden’s about when it’s safe to fight a fire, and when it’s NOT. We provide demonstrations on how to use the five common types of fire extinguisher, as well as fire blankets. Warden’s learn about the different “Classes of Fire”, and which extinguisher to use on each class.